For the past almost 19 years I’ve experienced this truth. I work in a physical medicine office and as such, our medical office has a Chiropractic emphasis. We treat the spine that houses and protects our central nervous system and we deal with pain naturally. IS THERE SOMETHING WORSE THAN A FOOL? At sundown on March 20,2019, the Jews began their celebration of Purim and it runs through sundown on March 21, 2019. Purim is a joyous and raucous festival celebrating their victory over the wicked Amalekite, Haman, as told in the Bible’s book of Esther. During Purim, the scroll of Esther, or “Megillat Esther” is read and sometimes acted out. Gifts are given to the poor, and they munch triangular-shaped cookies called hamantaschen, named for the villainous Haman. However, many do not believe Esther recounts true events and they, in essence, reduce it to fairytale status. Yet, we know it’s TRUE! Last Thursday, when our roads were snow-covered and a bit treacherous, I ventured out to the hairdressers. A New Year and time for a new me, right? It had been over two years since I sat in a beautician’s chair and conversed while she did my hair. I can’t say that I missed those types of superficial conversations. However, Thursday’s discussion was different. We talked about retirement, a so-called life of leisure, and social security. When I mentioned to her that she should not just depend on the money she will receive from social security, she said she would not rely on it because Social Security will probably be bankrupt by the time she is ready to retire. Thus began the infinite perfection of the eternal, triune God’s design. Father, Son, and Holy Spirit had planned and would now bring it to pass. Six days creating something out of nothing, one day of rest, and then the unthinkable. God’s humans chose to disobey His command. Sin and death entered, and the whole of creation groaned. A cloud of darkness enveloped the people of earth like a shroud. Sin had doomed man to death. Would they eventually cease to exist? Was there a way for man to be saved? God was not surprised by man’s sin. He is all-knowing. His plan had many facets, and in time, all would be revealed. 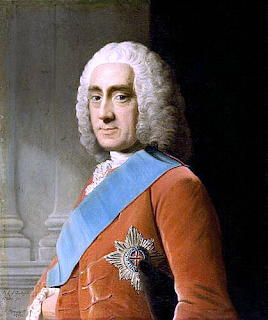 In March of 1746, British statesman and 4th Earl of Chesterfield, Philip Stanhope, said, “Whatever is worth doing at all, is worth doing well.” All my life I’ve heard that quote or a variation of it. What does this saying mean? To me, it means doing things with your whole heart. So, let me ask, do you do things with a whole heart? And if you do, what is it? Some give their whole heart to doing Thanksgiving and Christmas right. And some, like me, barely squeak by. I’m sure there are things I do with my whole heart, yet at the moment, I can’t think of one.